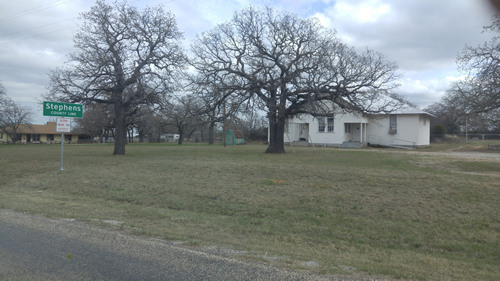 "The old school and cemetery are located on the southeast corner of FM 717 and CR 117. 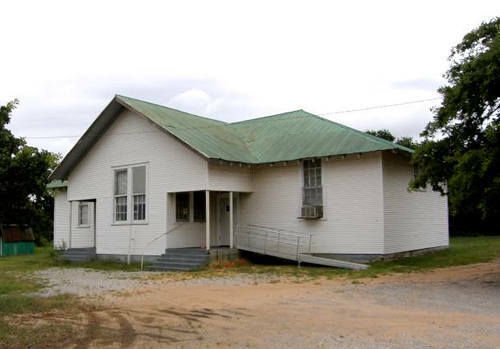 The church/school house is located on the Eastland County and Stephens County lines. The building literally sits on the line. 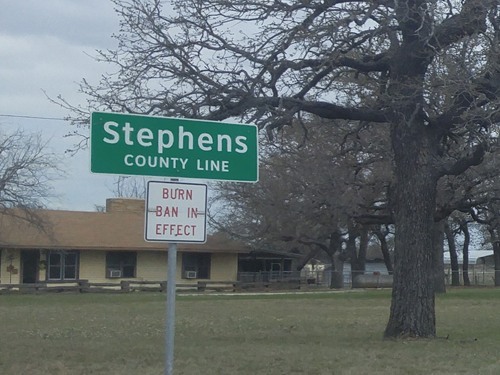 One half in Eastland County, one half in Stephens. There is only one house near the church (across the road), a couple currently lives there. So I would call the population 2. 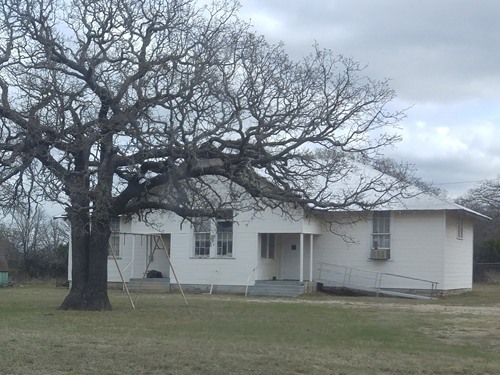 When baby Georgia A. Barnes was interred on William Nolen's land in 1878, there was a one-room schoolhouse on this site. 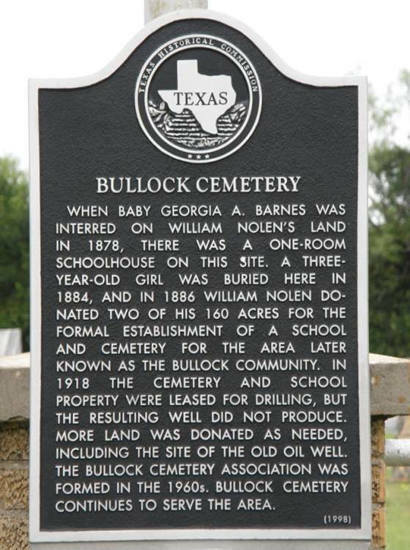 A three-year-old girl was buried here in 1884, and in 1886 William Nolen donated two of his 160 acres for the formal establishment of a school and cemetery for the area later known as the Bullock community. In 1918 the cemetery and school property were leased for drilling, but the resulting well did not produce. More land was donated as needed, including the site of the old oil well. 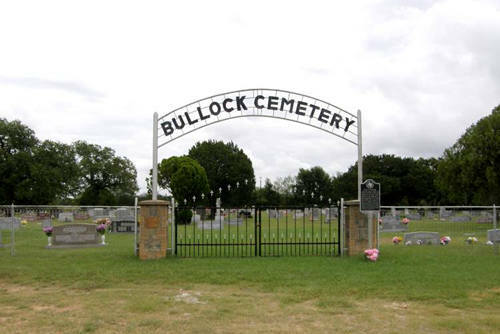 The Bullock Cemetery Association was formed in the 1960s. Bullock Cemetery continues to serve the area.